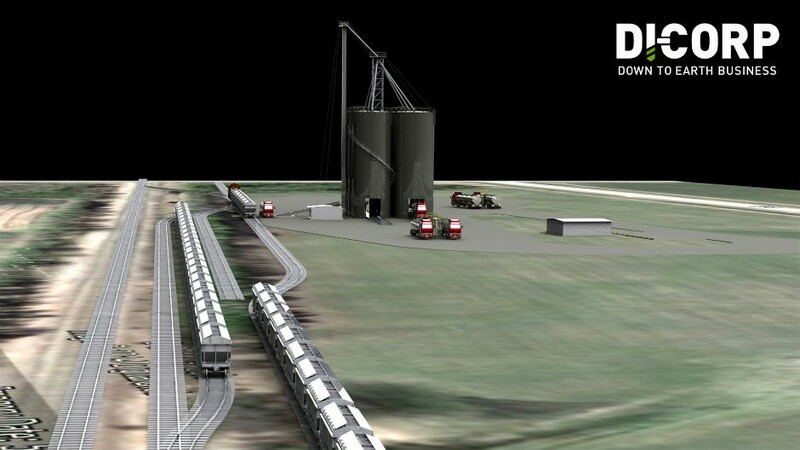 CN, Superior Silica Sands and Di-Corp will start serving a new state-of-the art frac sand terminal near Rocky Mountain House, Alta., located southwest of Edmonton, in early 2015 to meet rising demand for frac sand in the Western Canadian Sedimentary Basin. Di-Corp of Edmonton is building the new 30-acre facility, which will have three tracks capable of holding 95 rail cars for unloading and six silos with 2,000 tons of storage capacity. Trevor Derksen, vice-president of Di-Corp, said: "We are thrilled to work with both Superior Silica Sands and the CN on the development of this new facility near Rocky Mountain House. The frac sand pumping market has been telling us for some time that we need to look to expand. I think the partnership of Superior Silica Sands, CN and Di-Corp will be well positioned to meet this growing need. This facility is a close replication of the existing facility we have in the Grand Prairie area." Frac sand is used by the oil and gas industries in the hydraulic fracturing process to hold shale fractures open and let natural gas and oil flow out.